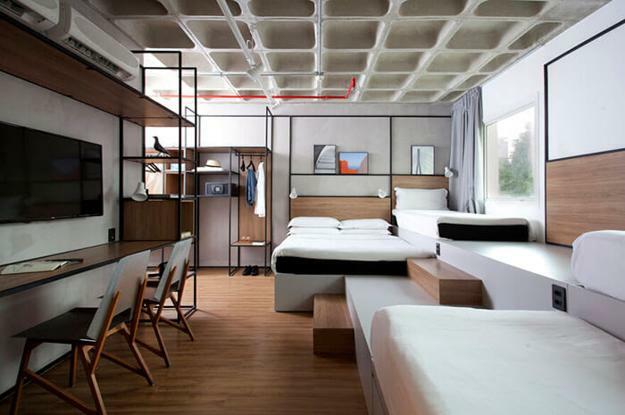 Here is a new design concept of Ibis Hotel in Sao Paulo, Brazil. The contemporary and original interior design invites everyone to hotels spaces, bar, and restaurants. Ibis Hotel offers fabulous experiences to guests and community neighbors. 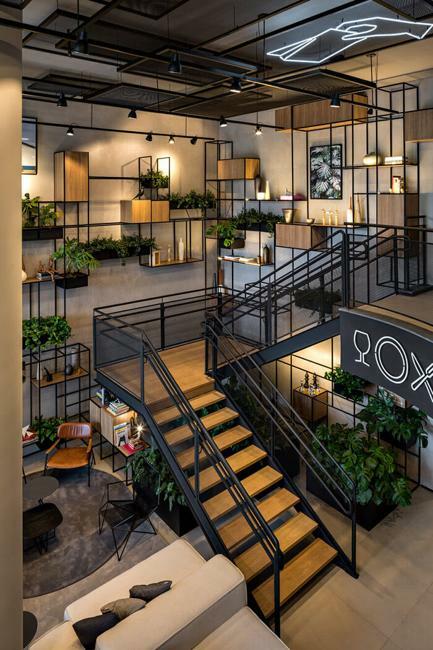 The entire ground floor of hotels is transformed by contemporary interior design into a unique, dynamic and welcoming environment. 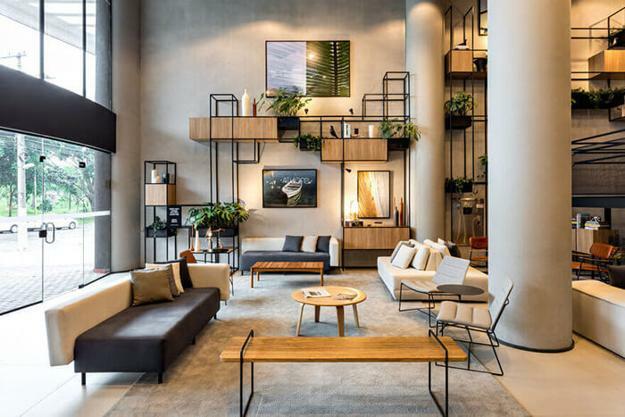 Creative interiors, developed by FGMF Arquitetos, welcome all people living in the city into its public spaces. 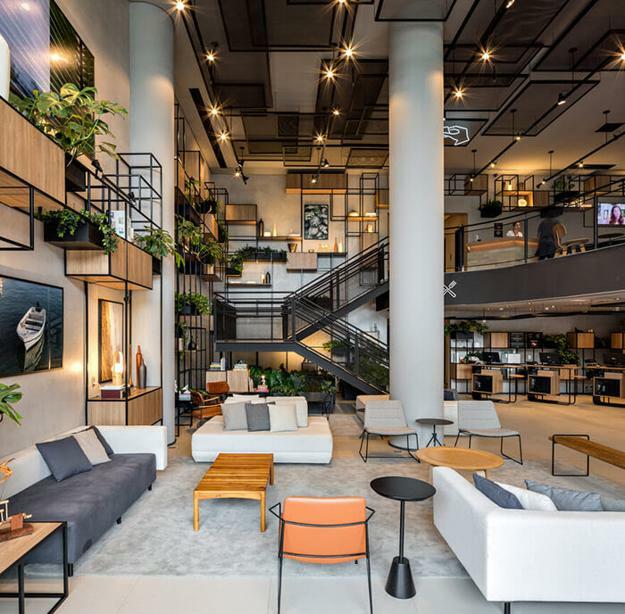 Modern hotel lobby looks like a vast living room and an internal street designed for pedestrians. An industrial style is one of the features for the contemporary interior design. 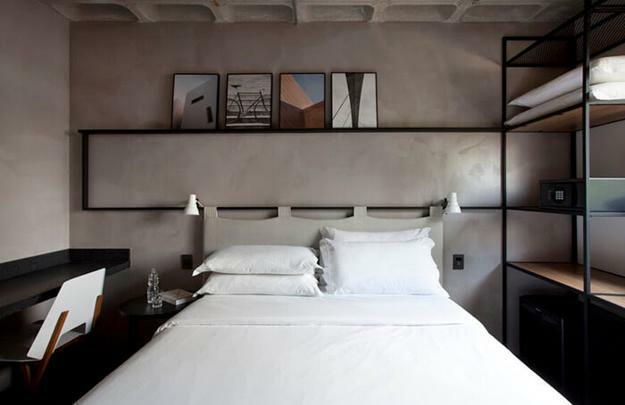 Metal furniture, cement-based paint, exposed lighting fixtures give a contemporary chic to the unique interiors. 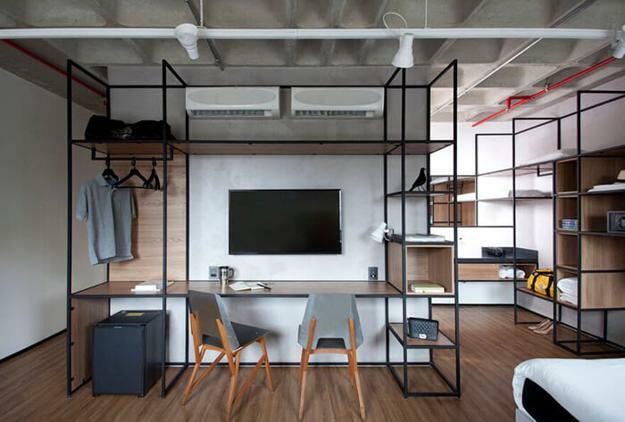 Hotels rooms look functional and elegant. The room design blends metal chairs, metal headboards, and open metal racks with wood and fabrics. 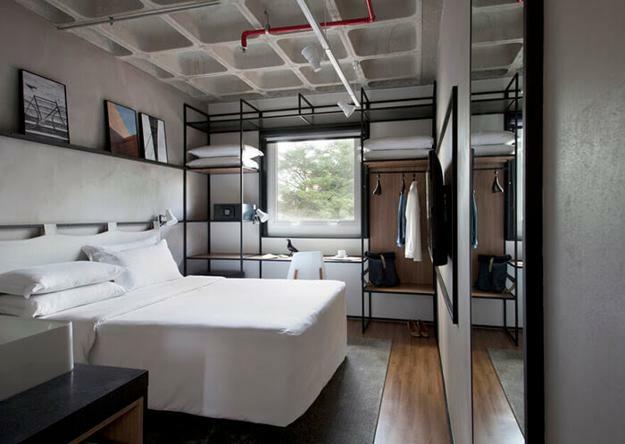 The modern interior design mixes an industrial vibe with comfortable luxury and creates unique experiences. Spacious and functional rooms for large groups are another contemporary design concept. Modern bedroom designs with four and six beds and an additional bathroom and high ceilings are perfect for fun gatherings.